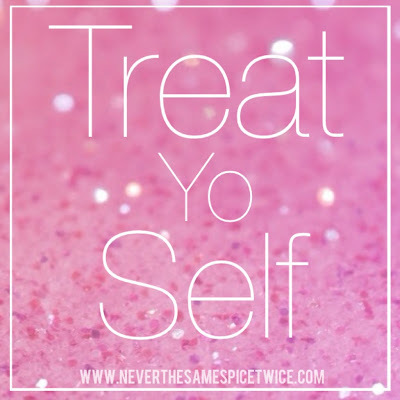 Dear El + Em: Curing #NOtivation - "Treat Yo Self"
I am a firm believer that in order to successfully meet your fitness goals, you need to reward yourself. Just like when we were back in elementary school, and you got to proudly stick your gold star up on a chart for the whole class to see...a little incentive goes a long way! I feel like we are all on a constant quest to figure out what works for us in terms of staying fit. I've accepted the fact long ago that just because Jessica Alba does it one way, that may not work for me (along with the fact that I'll never look like Jessica Alba). I've also accepted the fact that as things change, and I get older...I have to adjust my fitness routines, as well as the way I eat. One thing however that has always remained consistent is the fact that I allow myself a break, an incentive, or some kind of reward. 1. Set smaller, more realistic goals. I feel defeated if my end goal is too far out of sight. Baby steps! 2. Allow yourself a break every so often. Listen to your body. This is something I REALLY have to do now that I am pregnant. I'm not a fan of the term "cheat" day, but call it whatever you would like. Your body needs rest, so either set a "rest" day in advance...or decide on taking one if your not feeling so hot. 3. Be accountable. For me, I started noticing I was making the best progress when I really started tracking it. There IS an app for that...there are a bajillion apps for that! I use Runkeeper when I am doing cardio. When I am doing intervals at home, I use the Seconds Pro app. Both of these link directly to my social media, which for ME helps maintain accountability. If you aren't a "display my gold stars for the whole class to see" kind of person...then you could always turn that feature off. It's whatever works for you. 4. Treat yo self!!! This one is my FAVORITE! I completely agree with Mallory, "You're not a dog"...so rewarding yourself with food isn't the best plan. It just doesn't make sense to indulge every day JUST because you burned some calories. There is nothing worse to me than undoing a workout! However, I do allow myself a treat every once in a while if I've been on a good streak! 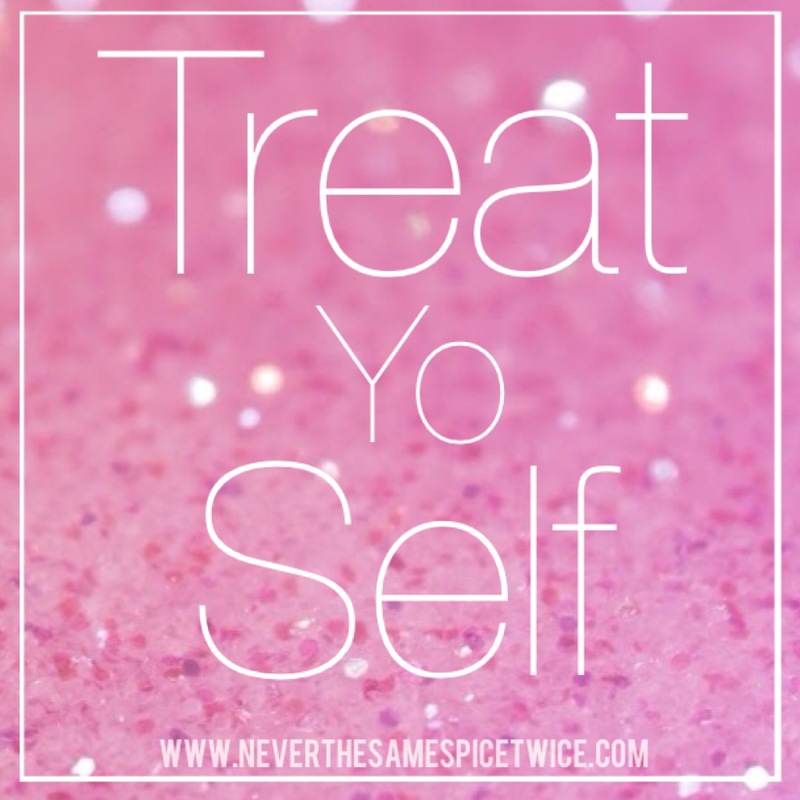 Even better than food though, is buying yourself a new workout outfit, running shoes, maybe that fitness watch you have been eyeballing...whatever it may be...Treat Yo Self, you deserve it! I hope these few tips help! 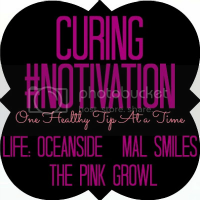 Linking up with these lovely ladies again this week to help cure #NOtivation! It's my LAST day off of work, I'm planning on making it a good one! I'll be treating myself to a pedicure, because I deserve it AND I can't reach my toes! Happy Tuesday! I like to treat myself with new workout clothes :) Found you via the link-up! you are aweeeesome, and your tips are seriously SPOT on!